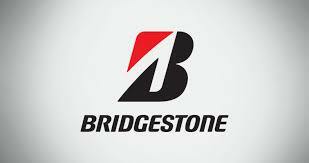 Bridgestone Retail Operations LLC which runs one of the largest networks of company-owned automotive service centers in the world received the National Excellence in Training Award for its “BSRO Tech Foundations Workshop”. BSRO is a subsidiary of Bridgestone Americas, and emerged as one of only three organizations in the transportation industry which were honored in 2018 for educational excellence by the ASE Training Managers Council (ATMC). The reception for the award was held on October 31 at the Venetian Hotel-Sands Expo Center in Las Vegas. The company developed the weeklong workshop to onboard and educate all the newly hired vehicle service employees at BSRO. Each instructor-led segment is followed by hands-on activities in a shop setting which is equipped with state-of-the-art technology so that students can immediately apply what they learn. The topics that are covered in the training workshop include tire knowledge, fluid services, conducting vehicle inspections, proper equipment and systems usage, following standard operating procedures for various automotive services and learning how to practice Safety First, Always – the BSRO safety mission statement. Commenting on the award, Joe Venezia, president, BSRO said that through equipping and empowering its employees, BSRO is able to deliver best-in-class service across all of its 2,220 stores. The BSRO Tech Foundations Workshop helps the organization achieve its vision to be the most trusted provider of tire and automotive service in every neighborhood it serves. He said that the company makes it a point to invest in its employees as this is key to providing quality service to its customers. From the time the program was launched in 2016, the company has held over 750 workshops and educated more than 8,600 employees. As a consequence, there has been significant reduction in employee turnover and work-related injuries, and this has had a positive impact on the overall customer experience. The entries for the ATMC National Excellence in Training Awards are judged by a panel of peers. The winners are those who get the highest mean average of the scores of all the judges.